Jokes are supposed to make us laugh, and laughter is one of the characteristics which make us truly human. Some of the funniest jokes are practical jokes, unless, of course, we are the ones that the joke is being pulled on. Before the early 1800s, the term for a physical prank was "handicraft joke". A joke becomes practical when some physical act needs to be "put into practice" for it to be achieved. Most of us are able to accept a joke at our own expense, but becoming the victim of a practical joke can shatter someone's dignity. When someone tells a joke about us there is always a degree of plausible deniability. "Aww, you're just saying that," we can reply with a chuckle. If we are the victim of a practical joke, especially one that we should have seen coming, the evidence of our foolishness is on display for the whole world to see. The more people a practical joker can snare as victims, the better. 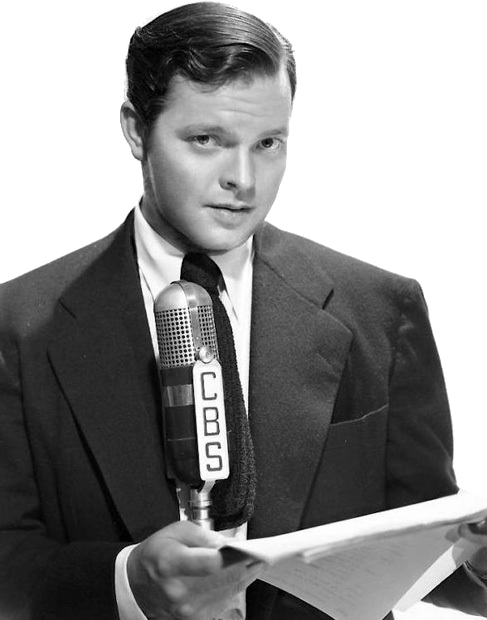 One of the most famous practical jokes of all time has an important place in OTR, the 1938 Halloween broadcast of The War of the Worlds by Orson Welles. There is still some debate as to whether the broadcast was intended as a practical joke or was simply an unfortunately misunderstood experiment in radio theater, but if it was a joke, it turned out to be a whopper! Welles' theater company had already established a reputation for staging classic productions in modern times on the live stage, including mocking Fascist Italy by playing Shakespeare's Julius Caesar in modern garb and setting Voodoo Macbeth in Haiti with an all-black cast. Placing H.G. Wells' science fiction tale in modern-day New Jersey and presenting it as a newscast sounds like genius until you consider that The Mercury Theatre on the Air had yet to become popular enough to keep listeners from tuning into NBC's The Chase and Sanborn Hour featuring Edgar Bergen and Charlie McCarthy. During the break after Charlie's first comedy sketch, listeners tuned to CBS to see if there was something else worth listening to, and heard what appeared to be a news report of aliens landing without hearing the introduction which announced that the whole thing was fiction. Henry decides to go to a party instead of going to the movies with Homer and as part of the party games he puts one of the girls to call Homer and set up a false date. Suddenly, Homer is getting more calls for dates than he knows what to do with. What could happen when everyone realizes it is all a practical joke on The Aldrich Family? Pro ball players are well known for pulling practical jokes to ease the tension in the club, and one of the greatest jokers was the Ace of the Gashouse Gang. On The Dizzy Dean Show, our hero peppers his advice to young players with stories his catcher of tricking batters, fooling his radio engineer into spending the night in the hotel lobby, and Pepper Martin with a bag of sneezing powder. What could be more irresistible than pulling a practical joke on Throckmorton P. Gildersleeve at his Halloween party? For Fibber McGee, nothing could be more irresistible! What could go wrong when the garage is right between the McGee's and next door neighbor Gildy's? How could Fibber know that the McGee's car is in the Gildersleeve's garage? "The Old Army Game" is based on the actions of an American counterintelligence unit during WWI, and is called the biggest practical joke ever pulled by one army against another. The story is related on Front Page Dramas from the Hearst Syndicate's The American Weekly. Some friends plan an April Fool's prank on Sherlock Holmes, and to everyone's great surprise the great detective falls for it, but the valuable emerald at the heart of the gag is actually stolen! In addition to his friends getting the best of Holmes, it is also an early appearance of the nefarious Moriarty. Wild Bill Hickok and Jingles are on their way to visit a general store keeper who still loves practical jokes even after all these years. Just before they get into town, a stranger on a black horse wearing a red shirt takes a shot at them. In town, they discover a gang of rustlers. Western fun! There is an ancient maxim in the Navy that only a fool would pull a joke or make life miserable for the cook. The "Little America" research station in Antarctica receives messages from home over a radio broadcast called "Mail Bag". On Adventures with Admiral Byrd, one of the boys arranges for fake messages to be sent to Carbone the cook from women who want to marry him when he gets back from the expedition. On All Star Western Theater, Foy Willing and The Riders of the Purple Sage relate a story about a "Sharp Shootin' Gal", a yellow-haired beauty who comes from back East comes to meet her mail order husband, only to find out the whole thing was a set up for some rustlers to cover their tracks. "Death is No Joke" sets up the situation on Box 13. Practical jokes are being pulled on the heir to a fortune who reappeared out of the blue. The jokes seem to be getting more and more dangerous and may be the work of those who would have inherited if Bernie had not shown up. Ol' Pop Raymond loves to pull practical jokes in the Gold Horseshoe but even Sergeant Preston on The Challenge of the Yukon is on to him. He spends a few days setting up a whopper not realizing his new friends have given him a real stick of dynamite for his gag. An old Indian scout is given a letter that he thinks says he would be a good guide for cattlemen coming into Dodge City. In fact, the letter was written as a joke and says that he is a thief. How will Marshall Dillon react when Tobile the scout gets his revenge on Gunsmoke. In the Suspense play "Hollywood Hostages", a movie crew goes to do advance location work in a ghost town in the middle of the California desert. The crew is working for a director known as the biggest practical joker in the movie industry. The ghost town is the hideout for a pair of desperate bank robbers, but the Hollywood people thinks they are a part of the director's joke. Be the first to comment on "Practical Jokers"